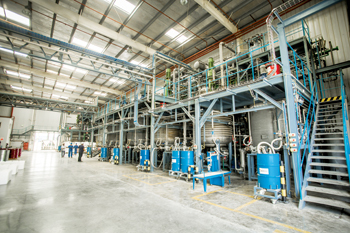 The Hamriyah plant manufactures polymers and pre-polymers, enabling the company to increase production capacity of polyester polyols, speciality polyurethane systems and food packaging adhesives. The new products will help BCI serve markets in the GCC region, the Indian Subcontinent and Southeast Asia. Hassane Baalbaki, chairman of BCI, said the new plant was part of a series of expansions that would include system houses and distribution and technical service centres. “We aim to further expand our regional foot print by adding additional locations to the existing network of system houses in the UAE and Egypt, distribution and TS centres in Egypt, Jordan, Turkey, Algeria and Nigeria and representative offices in Shanghai and Beirut. Proximity to markets and customer intimacy remain a fundamental part of our strategy,” he stated. 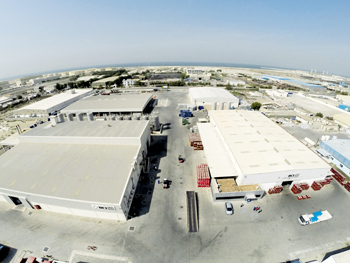 The Hamriyah facility became fully operational last April, although it was officially launched in November. It adds 40,000 tonnes of aromatic/aliphatic polyester polyols and isocyanate pre-polymer capacity to BCI’s already installed capacities in Egypt. Baalbaki gave a breakdown of the Hamriyah plant capacities. The total polyester capacity is 12,000 tonnes. The total systems capacity is: Rigid – 18,000 tonnes, shoe sole – 14,000 tonnes, lamination adhesive – 8,000 tonnes. BCI claims it is the only producer in the Middle East and Africa making lamination adhesives. Since the plant began operations, the GCC, Pakistan and Iran took in the most volumes. Discussing reasons for setting up the plant in the UAE, Baalbaki said: “A diverse, expanding economy and investor-friendly government policies are some of the advantages attracting foreign investors to the UAE. Baalbaki also said the company found receptive neighbouring markets operating in an investor-friendly environment. “We found a market driven more and more by performance quality and higher fire-rated product requirements for which our aromatic polyesters are key,” he said. There was also “good synergy to complement some of BCI’s suppliers in the region allowing it to forge stronger long-term partnerships with them. The customer base was more aware and more valuing of high quality, high-end state-of-the-art manufacturing facilities capable of delivering quality products consistently. “Finally we found an ever-diminishing space for low investment, low technology-oriented operations in a constantly more demanding technical environment,” he said. Baalbaki said the company had a broad vision. “Our objective and strategies do not stop in the area, and we are today taking our competences, experience and our vision to the West as we have just finalised the acquisition of a manufacturing facility in Italy, he said. 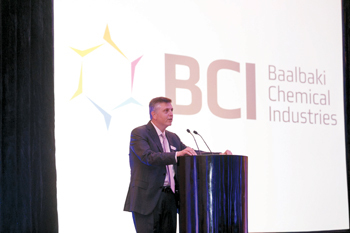 “BCI will actively contribute to the development of the polyurethane industry, with a primary focus on the EMEA (Europe, Middle East, Africa) region, through the consistent supply of high quality polyurethane solutions to a worldwide customer base,” said Baalbaki while stressing there was much to accomplish after the establishment of the Hamriyah plant. “We will differentiate ourselves by remaining geographically and strategically closest to the customers through a network of manufacturing facilities, system houses and technical service centres. Our focus will be on leading regionally relevant innovations in PU raw materials, PU systems and PU specialties as well as on fostering long-term partnerships with customers and other industry participants. By continuously developing tailor-made products that address customers’ needs BCI aims to become the EMEA region’s leading and preferred supplier of PU systems, polyester polyols, and PU specialties, he said. BCI highlights it the largest independent manufacturer of aromatic and aliphatic polyester polyols, isocyanate pre-polymers, polyurethane systems, and polyurethane auxiliary chemicals in the Middle East and Africa regions. BCI is also a leading producer of specialty adhesives for the flexible packaging industry and for the leather and footwear industries. Its network is spread in Europe, the Middle East and Africa with manufacturing facilities and system houses in Italy, the UAE and Egypt as well as distribution and technical service centres in Turkey, Jordan, Algeria and Nigeria and representatives offices in Lebanon and China. BCI enjoyed a 36 per cent increase in total sales from 2013 to 2014. Its current markets are Turkey, the GCC, North Africa and East and West Africa. Giving a further insight into the company’s future focus, Baalbaki said that in addition to its current markets it was growing its presence in the Levant including Iran and in East Africa. BCI also plans to develop a strong presence on the Indian Subcontinent and Europe and hence a market penetration plan has been established to the purpose. The group maintains its optimistic outlook for the polyurethanes industry. “The new BCI plant capacities put our backward integration plan into action by adding to our product portfolio premium grades of raw material used in the manufacturing of our final products. Our new capacities allowed us to expand our product range outside the scope of system products to reach regional system houses and self-formulators and supply them with a range of high quality basic raw material used in their formulation process,” said Balbaki. Among other factors contributing to its optimism on polyurethanes is growth in the youth population which the company indicates would impact on higher spending and consumption. The company is also optimistic because of the following factors it cites: it has established itself as the only manufacturer of lamination adhesives for flexible packaging in the GCC, Iran and Pakistan; a new local presence in Europe enables access to a large market there; a rapidly growing presence in Africa; repositioning in the south of Turkey and re-penetration of the Iran market once financial sanctions are removed.